There's less than a week left until the OnePlus 5's announcement on June 20. The company is sending media invites for the event, typically stylish and attention-sparking. More of a press kit than a mere invitation, the 'assembly' asks its beholder to "focus on what matters" – how enlightening! 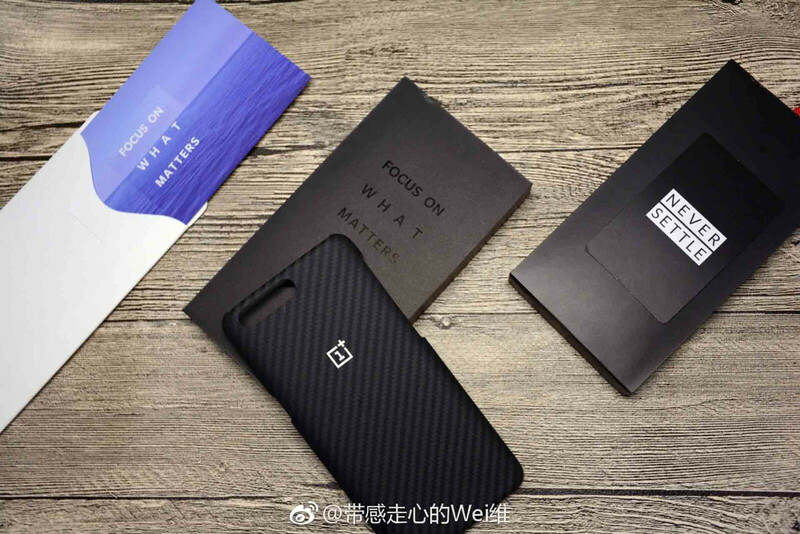 What's more interesting is that the invite contains a kevlar case (not confirmed if actual kevlar, or just texture) for, presumably, the OnePlus 5. Our presumption is based on the fact that the case features a dual camera cutout on the back (a horizontal one), and the company doesn't have any other duo-cam phones on the market. So the case clearly must be meant for its latest and unreleased one. The invite states that the OnePlus 5 is getting a traditional announcement event in Beijing that's going to be broadcast worldwide, in addition to ceremonies in other countries. It's also taking a jab at other manufacturers, implying they aren't sincere when they refer to customers as 'friends'. Can't be OnePlus without shaking the salt a little bit! The invite contains... many things. Judging by leaks, the OnePlus 5 might not have a mind-blowing look to it, but the brand's strength from the get-go has been selling cutting-edge hardware on a budget. Thus, the phone is going to be powered by the premium-tier Qualcomm Snapdragon 835 processor and feature up to 8GB of RAM and 128GB of storage in its most souped-up configuration. The dual camera setup is accompanied by a dual-LED flash, and the display has 1080p resolution – still more than enough for a smartphone display, even in 2017. However, the handset is expected to break past the $500 tag due to the premium components it contains. This may put off buyers used to OnePlus' sub-$450 "affordable flagship" phones. Of course, such price is well below those commanded by the likes of Samsung, Apple, LG, HTC, and Sony. So, at least on paper, the OnePlus 5 still presents a compelling offer. June 20 is very soon and we're pretty sure OnePlus is eager to show the world the result of its development efforts. Onward to the next few days! I think the price is going to be $479 and $519 dollars, which is still a good price for SD835 and an OLED display. Yeah, not everyone needs a phablet.... And since you traded a phone in, you didn't just pay $374.... so $500 is a bargain. And, a 1080p screen is perfect, anything more is not noticeable to the common eye (Proven). I know your phone is the "best" for you, but not for everyone. I wish it would be widely available. iClone. So disappointing, especially considering how good the OP3 was. In response to no.4 Exactly. It is a shame to copy/paste in such obvious manner and in the same time to pretend how original and unique you are. I remember the moto: Flagship killer. I remember the words of Carl Pay how ahead are they according to all competitors except Apple. So, finally Carl, you just copy Apple. Fully. But it is silly. After OnePlus X you lost your mojo. Copy HTC with 3, now copy Apple with 5... Copycat company.